Suncoast Gold™ Liquid Chlorine is the affordable way to sanitize your swimming pool! Sodium Hypochlorite, the active ingredient in liquid chlorine, begins working as soon as it enters the pool water. At Pinch A Penny, we sell more liquid chlorine than any other pool company in the world. Each and every Pinch A Penny store fills their containers daily, ensuring you always receive the freshest, most effective chlorine - guaranteed. Suncoast Gold™ Liquid Chlorine is not only used for regular everyday chlorination, but also used for winterizing and spring pool openings. Additionally, it is an affordable alternative to granular pool shock. Remember, when it's time to sanitize or shock your swimming pool, Pinch A Penny's Suncoast Gold™ is the strongest and freshest available. Visit your local Pinch A Penny store for more information about using Suncoast Gold™ Liquid Chlorine to sanitize your swimming pool! 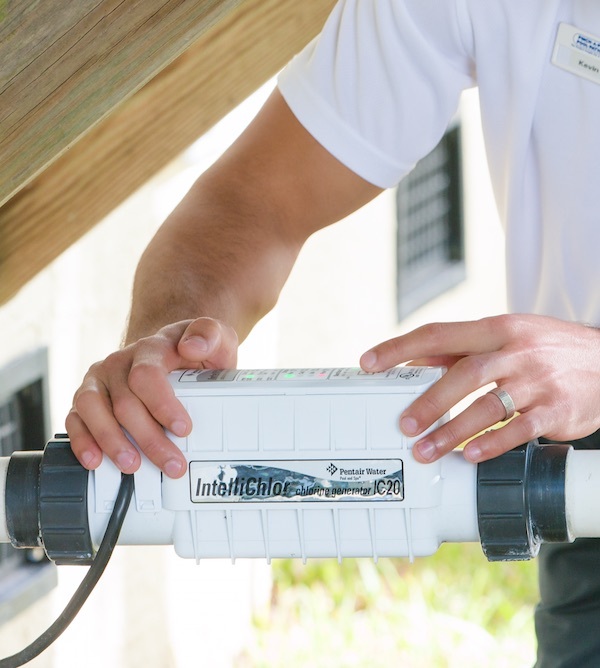 Alternative Pool Sanitizers Alternatives methods to sanitize a swimming pool.